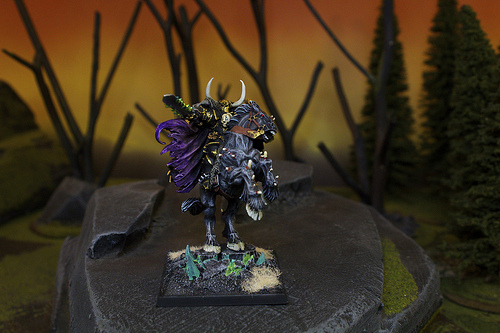 Purchase new on spure and used Warriors of Chaos Models from our ever expanding inventory. Complete your Chaos Army with one of these unique and powerful figures. Be'lakor the Dark Master- He was the first Daemon Prince. Angered by thousands of years of banishment he storms the battle field in rage. Arek DaemonClaw- He was once a lord of the Empire but slowly turned evil by the power of Chaos.